I am determined to spite my inclinations and avoid turning this post into an ancient history lesson – give me a slap if I fail and start lecturing. 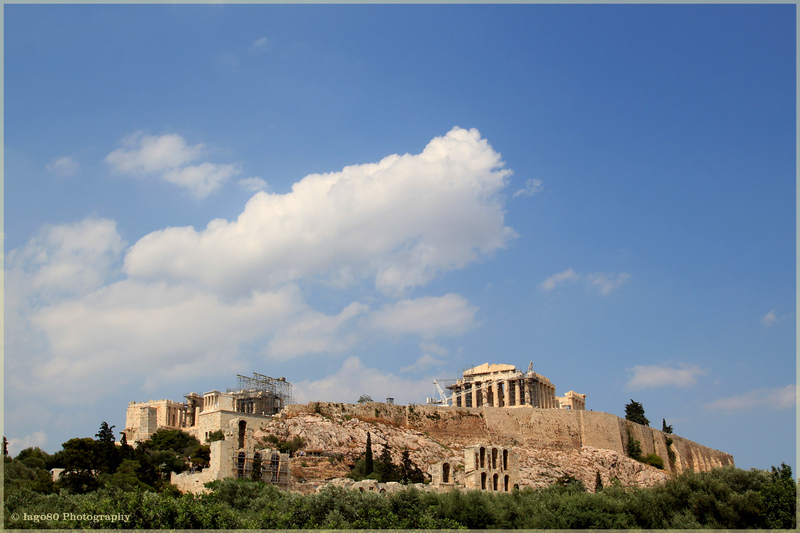 The Acropolis must be one of the most photographed sites on the planet. It is ranked ‘No. 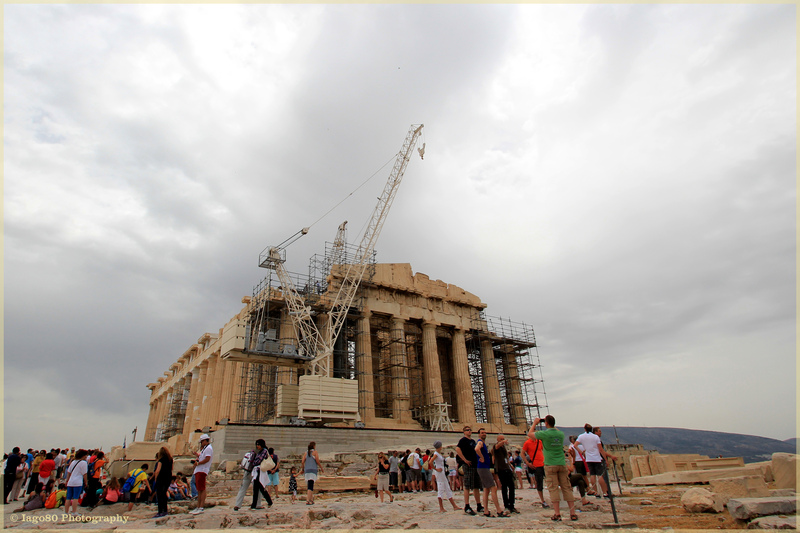 1’ on the European Cultural Heritage list of monuments. 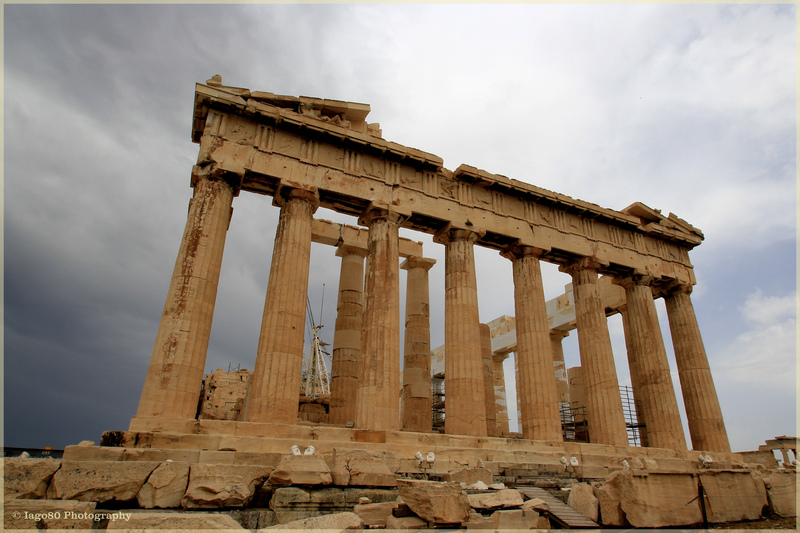 The collection of 2,500 year old temples and monuments, many of which remain to this day (including the huge and famous Parthenon), are our most tangible link back to one of the greatest ancient civilisations the world ever saw: the Athenian city state. *There. History lesson over in one short(ish) sentence. 1) Weather: On my day of sightseeing, it was overcast with the constant threat of rain. 2) People: To be specific, tourists. I can be a grumpy misanthrope when I am out taking photographs (and probably most of the rest of the time as well). I know I was a tourist too, but I just wish everyone else would avoid the most beautiful parts of the world when I happen to be visiting them – I like nothing more than to be completely alone with just my camera and some interesting subject matter (e.g., wildlife, architecture, landscapes etc). But as we all know, ‘I want, doesn’t get’. 3) Scaffolding: I expected some work to be under-way, but oh boy! There is a lot of scaffolding! 4) No time for a night visit: Due to only having a couple of nights in Athens and having a friend’s wedding as my primary reason for being there, I wasn’t able to photograph the Acropolis by night – when most people agree it looks most beautiful all lit up. 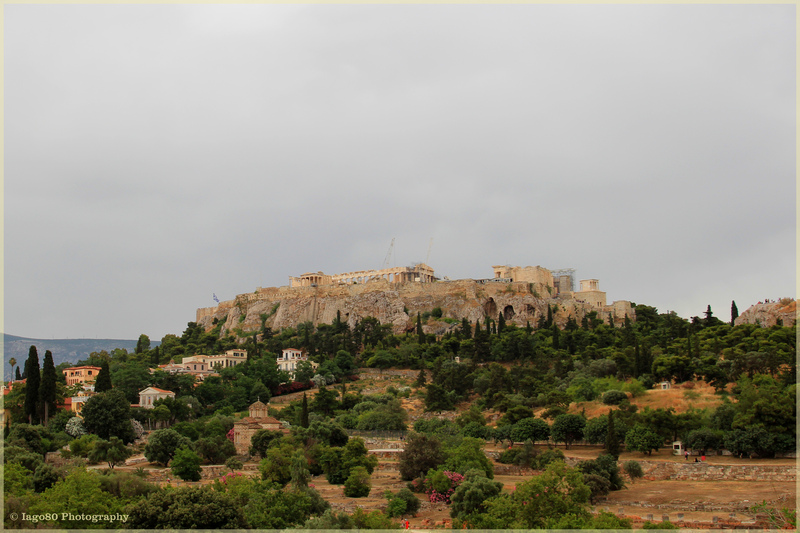 Although I was disappointed not to get join the throngs of tourists snapping the Acropolis at distance by night, at least I have a good reason to return to this beautiful and ancient city in the future. 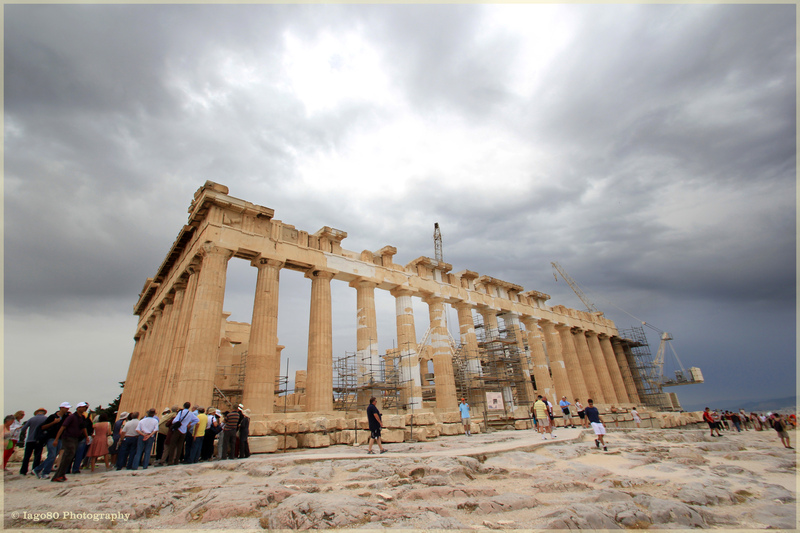 This entry was posted in architecture, history, philosophy, photography, religion, Travel, weather and tagged Acropolis, Athens, city visits, dramatic sky, Greece, Most photographed, Parthenon, photography, scaffolding, tourism on June 10, 2013 by iago80. Thanks for your message KC. I am afraid to say I simply use this blog for my own photography and it is certainly not a commercial enterprise in any form. I would encourage you to start your own blog for your travel stories.